Braden was diagnosed with Glut1 by the age 12 months. He Started on the Ketogenic diet right away and been on it for past 12 years. Braden started showing signs of seizures with eye twitching movements, trouble eating formula along with developmental delays by 3 months old. Braden started therapies at school and privately such as OT, PT, and Speech. The therapy has made a huge impact to the improvement and ability of things Braden can and can not do. He finally started walking at age 3. Riding a bike was a challenge but with a lot of determination and hard work he could finally ride a two wheel bike .Having a younger sister only 17 months younger helps him try to push to keep up with her. 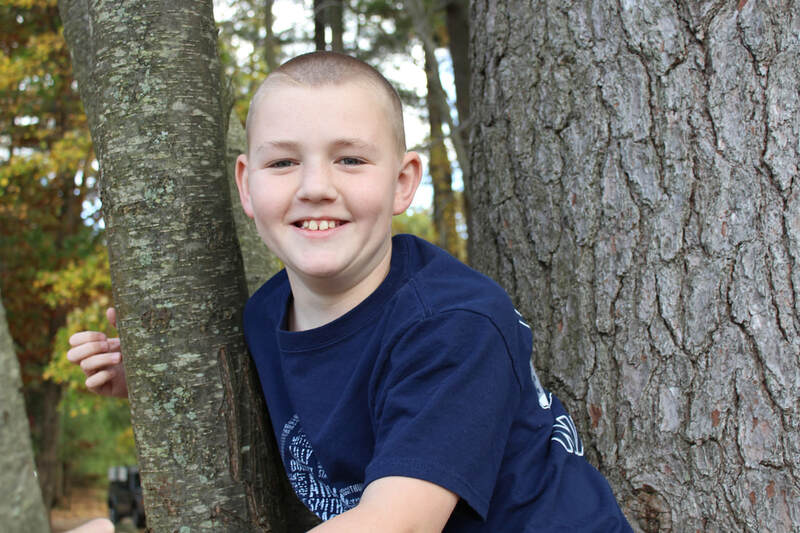 Braden was diagnosed at age of 9 with PED (Paroxysmal exercise-induced dyskinesias.) He has days that his leg muscles tighten up and make it difficult to walk, These episodes can last minutes or longer depending on his day. This doesn't happen often and comes and gos. Braden is now a happy 13yrs old and a 7th grader at middle school. He receives 1-1 para help and spends most of his academic periods in the resource room. He still struggles with basic functions of reading, writing and math, He loves science, though.He loves interacting with his peers. He is always smiling and willing to make new friends. Braden enjoys swimming and participating in our towns Unified Basketball team for the past two years. He also is a Jr coach at his old elementary school helping out their Unified Sports programs. Braden still struggles with speech, fine motor and developmental delays but he works hard and continues to improve everyday. We are so proud of him.